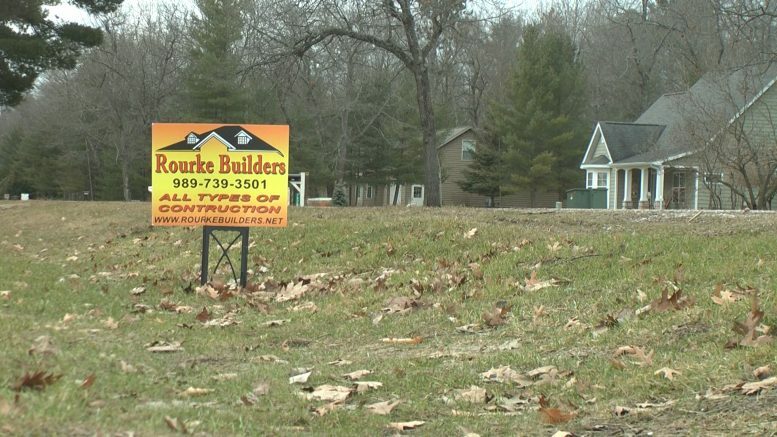 OSCODA TOWNSHIP, Mich. — In this exclusive interview, a residential builder opens up about a cease and desist order he received from LARA, Michigan Licensing and Regulatory Affairs. It turns out, the owner of Randy Rourke Builders should have never received that order from the state. He says he has yet to receive an apology. Randy has been constructing homes for the past 39 years throughout the Oscoda Township area. Randy had to cut his vacation in Florida short. An unexpected complaint, turned investigation, nearly cost him his business. News headlines made him return to Michigan. LARA opened a case against Randy for violating the state’s occupational code. One — not possessing a license, and two — entering into an agreement with a customer offering services regulated by the occupational code. Randy said he did nothing wrong. We confirmed that Randy has been a licensed residential builder since 1994, the year he started his business in Oscoda. The owner added his business name Randy Rourke Builders to his license near the end of 2018 because he did not know that he was out of compliance until an investigator notified him. Prior to the update, Randy wrote contracts under the non–existent business name Rourke Builders, which originally landed him in violation. We contacted LARA for answers. They said the Bureau of Construction Codes had a “communication breakdown” with the Attorney General’s Office. Below is the exact statement we received from LARA, after calling and emailing them multiple times to understand the situation. Randy Rourke will continue doing business as usual, but he wishes this experience never happened because “absolutely! I felt embarrassed” and hurt. The cease and desist against Randy Rourke is officially null and void as of March 28, 2019.